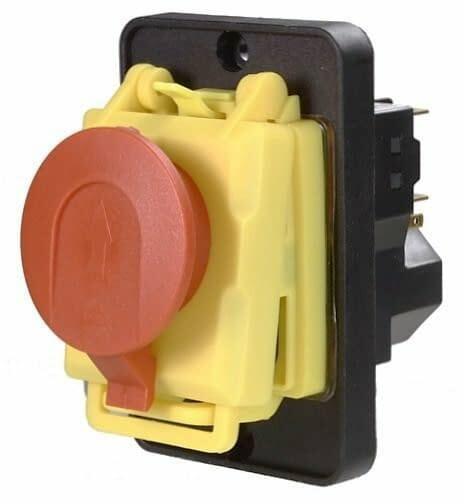 3-pole insert switch with zero voltage release for drilling machines and stationary power tools. 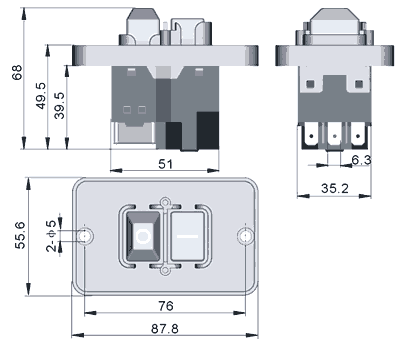 The switch can be used as a replacement for DKLD DZ05 (Yue Qing Dongke Electron). 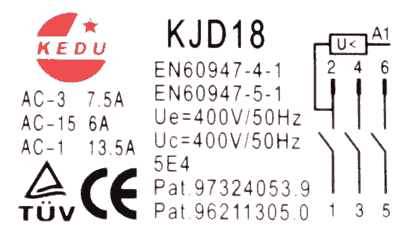 Please note installation dimensions, because the designation of DKLD is not always unambiguous. The switch is connected to the mains on the contacts 1, 3 and 5, motor side on 2, 4 and 6. 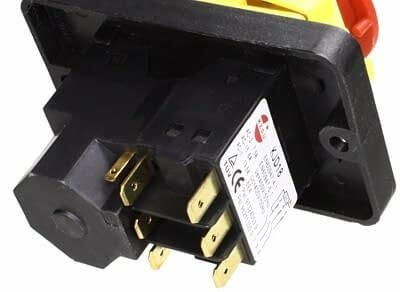 Under no circumstance should the switch be connected the other way around, otherwise a voltage will be applied on the coil, even when the switch is off. If the switch rattles on a switched-off state, it is incorrectly connected. 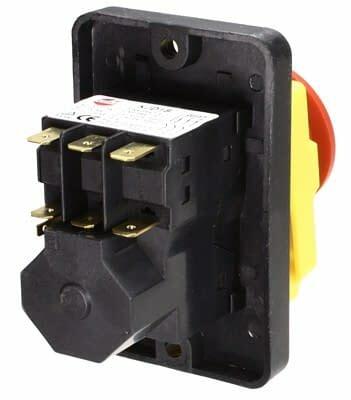 The switch has an external coil contact A1, which can be used to remotely trigger the switch with e.g. 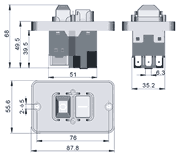 An emergency stop-switch, limit switch or a thermal contact. If none of the devices exist, the connection A1 and connection 6 have to be bridged.